This is a sensational and cheap offer for all garden enthusiasts and on the plot. 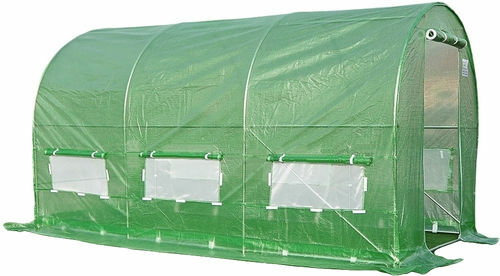 Due to their maximum functionality, reliability and competitive price, they are an excellent alternative to traditional greenhouses. Our foil tunnels will accelerate and improve yields, allow for longer season and ensure perfect microclimate and protection for your crops. Laba kvalitate..metala caurules ,bieza pleve..